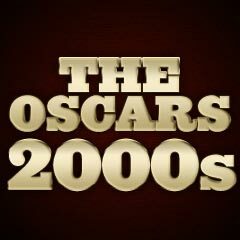 PHILIP SEYMOUR HOFFMAN in "Capote," Terrence Howard in "Hustle & Flow," Heath Ledger in "Brokeback Mountain," Joaquin Phoenix in "Walk the Line," David Strathairn in "Good Night, and Good Luck." REESE WITHERSPOON in "Walk the Line," Judi Dench in "Mrs. Henderson Presents," Felicity Huffman in "Transamerica," Keira Knightley in "Pride & Prejudice," Charlize Theron in "North Country"
GEORGE CLOONEY in "Syriana," Matt Dillon in "Crash," Paul Giamatti in "Cinderella Man," Jake Gyllenhaal in "Brokeback Mountain," William Hurt in "A History of Violence"
RACHEL WEISZ in "The Constant Gardener," Amy Adams in "Junebug," Catherine Keener in "Capote," Frances McDormand in "North Country," Michelle Williams in "Brokeback Mountain"
ANG LEE for "Brokeback Mountain," George Clooney for "Good Night, and Good Luck.," Paul Haggis for "Crash," Bennett Miller for "Capote," Steven Spielberg for "Munich"
The Academy Award honorees for this year, for the most part, continued the trend away from big-budget, mega-blockbusters and aimed at smaller independent efforts. 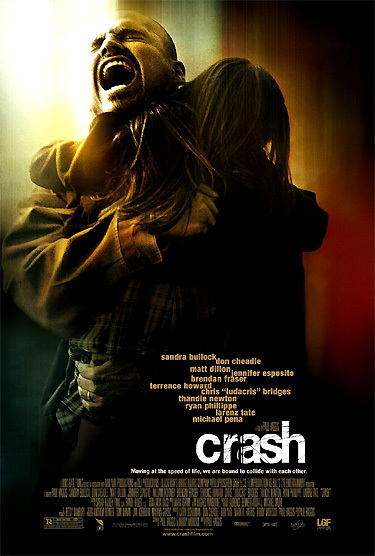 Four of the five Best Picture nominees were independently financed, including the winner Crash. In recent memory, the last time this happened was in 1996, when four of the five top nominees (The English Patient, Fargo, Secrets & Lies, Shine - and Jerry Maguire) were independent productions. The five low-budget Best Picture nominees fairly evenly split the major nominations - no film received more than 8 nominations. This was also the first time since 1947 that no picture won more than 3 Oscars. They were all modest in scope, and challenged political, sexual and intellectual mores. Two were biopics. Focus Features topped all other studios with 16 nominations, including its Best picture contender Brokeback Mountain (8), The Constant Gardener (4) and Pride & Prejudice (4). Of the five nominees, only one of them had a budget over $14 million (Spielberg's Munich at $70 million), and three of them were budgeted at about $7 million. The combined gross of all five nominees was a very low $187 million, and none of the films grossed more than $53 million at the box-office at the time of the nomination's announcements in late January. When the final tally of Oscars was determined, the awards were sparsely divided among all the major film nominees. For the first time in 49 years (since 1956) and only the third time in Oscar's 78-year history (it also occurred in 1952), six different films split the top six Oscars (Best Picture, Director, Actor, Actress, Supporting Actor, and Supporting Actress). The Best Director winner was veteran director Ang Lee for Brokeback Mountain (he was previously nominated for directing and producing the foreign-language film Crouching Tiger, Hidden Dragon (2000) - the best Foreign Language Film winner!). He was notable for being the first Asian (or non-white) filmmaker to win the top film-making honor. The only other nominated veteran director was six-time Best Director-nominated and two-time Best Director winner Steven Spielberg, for Munich -- (previously winning three Oscars: Best Director for Best Picture-winning Schindler's List (1993) and Best Director for Saving Private Ryan (1998)). Spielberg was also nominated for producing Munich. The fifth Best Director nominee was Bennett Miller (with his first nomination) for his first narrative feature film Capote. Special mention should be made of the fact that Woody Allen earned his 14th career writing nomination (all for Best Original Screenplay) for Match Point - it was his 21st career nomination. He has won the Best Original Screenplay Oscar twice, for Annie Hall (1977) and Hannah and Her Sisters (1986), the only Allen films nominated for Best Picture, and he won the Best Director Oscar for Annie Hall (1977). The next closest nominee remained Billy Wilder, with 12 career writing nominations and 3 career writing wins. For the first time in the short history of the Best Animated Feature Film category, none of the three nominees were CGI films, although that could be accounted for since Pixar (winner of last year's award for The Incredibles (2004)) took the year off. All three were only moderately successful, scarcely making $100 million in total. The winner was: Aardman Animation's second feature-length 'claymation' and first feature-length Wallace and Gromit film from co-directors Nick Park and Steve Box (with this being his third Oscar win) - Wallace & Gromit in The Curse of the Were-Rabbit, about eccentric, cheese-loving inventor Wallace (voice of Peter Sallis) and his faithful mute dog assistant Gromit. This was the first stop-motion/'claymation' film to win the Best Animated Feature award. All four winners in the acting categories were first-time nominees - marking the first time this has happened since 1961 (Maximilian Schell, Sophia Loren, George Chakiris, Rita Moreno). In fact, 14 of the twenty nominees were first-timers, the highest number in nine years! (Four of the six remaining veterans had won one Oscar: William Hurt in 1985, Frances McDormand in 1996, Judi Dench in 1998, and Charlize Theron in 2003. Joaquin Phoenix and Catherine Keener had never won.) The average age of this year's nominees, at the time of the announcement of nominations, was 38, younger when compared to the average of 41 in 2004. Nine of the 20 acting nominees were aged 35 or under - four more than last year - while six of them were in their 20s. Four of the nominees: Matt Dillon, David Strathairn, Philip Seymour Hoffman, and George Clooney - finally received nominations after dozens of films and many years in the business. Three of the five Best Actor nominations were characterizations of real-life persons, and four of the five nominations were also for first-time nominees. The winner in the Best Actor category was 38 year-old Philip Seymour Hoffman (with his first nomination) as squeaky-voiced, effete, eccentric, mentally-deteriorating, pop icon/biographer Truman Capote in Capote [Hoffman had long been considered a perennial Oscar snub, for worthy unnominated roles in Boogie Nights (1997), Happiness (1998), Flawless (1999), Magnolia (1999), Almost Famous (2000), Punch-Drunk Love (2002), and Cold Mountain (2003).] His strongest competition came for another nominee portraying a gay/bisexual man: 26 year-old Heath Ledger (with his first nomination), as Wyoming ranch hand Ennis Del Mar who experienced an illicit affair with another cowboy in the ill-fated love story of Brokeback Mountain. 48 year-old Frances McDormand (with her fourth career nomination) as Glory - another sexually-harassed coal miner (stricken with Lou Gehrig's disease) in North Country [she was previously nominated twice in a supporting role for Mississippi Burning (1988) and Almost Famous (2000), and won her sole lead nomination for Fargo (1996)]. Robert Altman received a Lifetime Achievement Oscar for his contributions to motion picture history. His most obvious innovations including the use of multiple storylines and characters, overlapping dialogue, and improvised original performances from large ensemble casts. The iconoclastic 81 year-old writer/director/producer and seven-time Academy Award nominee never won a competitive Oscar. He received five directorial nominations for: the anarchic M*A*S*H (1970) (with five nominations and one win for Best Adapted Screenplay), Nashville (1975) (with five nominations and one win for Best Song), The Player (1992) (with three nominations and no wins), Short Cuts (1993) (with one nomination), and Gosford Park (2001) (with seven nominations and one win for Best Original Screenplay). He also directed such films as the acclaimed McCabe & Mrs. Miller (1971), The Long Goodbye (1973) with Elliott Gould as Philip Marlowe, California Split (1974), 3 Women (1977), Popeye (1980), Come Back to the Five and Dime, Jimmy Dean, Jimmy Dean (1982), Vincent & Theo (1990), Prêt-à-Porter/Ready to Wear (1994), Kansas City (1996), and Dr. T and the Women (2000). He passed away less than a year after receiving the Honorary Oscar, during the same year in which his final film was released, A Prairie Home Companion (2006). This year, composer John Williams earned his incredible 44th and 45th Oscar nominations for Best Original Score for Memoirs of a Geisha and Munich. (He has a total of 40 nominations for Best Score, and five nominations for Best Original Song.) It was also the eighth time he'd been nominated twice in a single category (also in 1972, 1977, 1982, 1984, 1987, 1989, and 2001). He had "only" previously won four Best Original Score Oscars for Jaws (1975), Star Wars (1977), E.T. : The Extraterrestrial (1982), and Schindler's List (1993), and one Best Scoring: Adaptation and Original Song Score Oscar for Fiddler on the Roof (1971). Gary Demos received the honorary Gordon E. Sawyer Award for his pioneering CGI work in such films as TRON (1982) and The Last Starfighter (1984). He had won three technical awards in 1984, 1994 and 1995 for his revolutionary work in film. Contrary to form, George Lucas' sixth and final installment of his galactic epics, that made more than $380 million at the box-office, Star Wars: Episode III - Revenge of the Sith (with only 1 nomination, Best Makeup) did not receive an Oscar nomination for Best Visual Effects. All five previous movies either were recognized in the category or received a Special Achievement Award for the work of his own high-tech company, Industrial Light & Magic (ILM). (1) Melinda and Melinda (no nominations), featured Radha Mitchell's dual-role as Melinda in two parallel stories (one tragic, one comedic), as well as Will Ferrell's role in the comic story as Hobie, a married man obsessed with Melinda, and two actors in the tragic story: Chiwetel Ejiofor as Ellis Moonsong, a jazz musician who dumped Melinda for one of her best friends and Brooke Smith as Cassie, Melinda's straightforward, realistic friend.